A new musical about the first family is coming to New York City, with the help of former White House Communications Director Anthony Scaramucci. “The 1st Annual Trump Family Special,” will run every Thursday evening in the Big Apple’s Triad Theater from September 13th to December 6th, according to a press release put out by the show. “‘The 1st Annual Trump Family Special, is an original musical comedy spoofing the first family in a YUGE way! In this hilarious send-up, Trump’s brood has gathered to perform in a live televised event for the new Trump TV network,” reads a plot description. 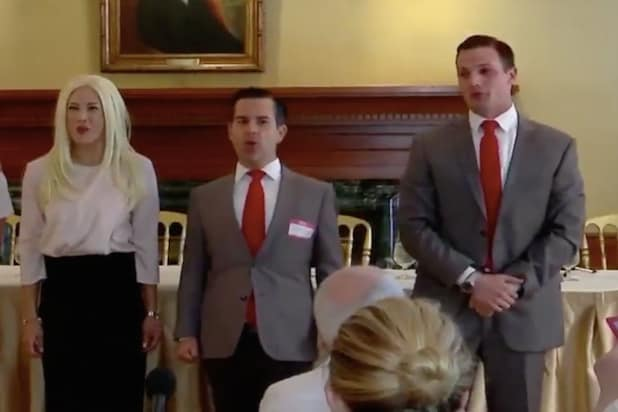 Cast and crew gathered at New York City’s Princeton Club last Wednesday to announce the news in a press conference which included a musical number and remarks from the former White House official. A sneak peak of what the show might look like was provided to Reuters, which posted the clip on Twitter, Monday. Contrary to Reuters’s suggestion however, Scaramucci has no formal role with the production and has not contributed any financing, a rep for the show told TheWrap. Since leaving the White House, Scaramucci has tried a variety of schemes to keep his name in the news. Most notably the financier tried his hands at becoming a media entrepreneur with the launch of the Scaramucci Post. The account’s Twitter was popular for a time, but mostly jumped the shark after a poll asking how many Jews died in the Holocaust last October. He has also returned to his first occupations running Skybridge Capital and serving as a co-owner of the New York City restaurant Hunt and Fish club. Even for the most Twitter-obsessed of us, we've all been through those spring cleaning periods where we decide to tidy up our followers. But a handful of celebrities have no qualms when it comes to following people en masse. So how many is too many? We know it when we see it. If you're on Twitter with even semi-regularity, it's likely that these people will follow you back, or maybe they already do. Melissa Joan Hart is a massive Alabama football fan, and if you want a follow, you might consider showing your support for the team. Or better yet, commit to be a player there. Anthony Scaramucci follows nearly one third of those who follow him, including TheWrap and many of its staffers. It's not just journalists he follows in that 300,000 either. Katy Perry still has the edge over Bieber in total followers, but then she follows just more than 200 people compared to Justin's 316,000. Still, it's a small fraction of the millions who've followed him back. Britney might need to step up her following game, because in 2017 she fell out of the Top 10 most-followed people on Twitter, behind Kim Kardashian West. You may think Soledad O'Brien is following way too many people to notice, but believe it or not, she's paying attention. Obama is the third most followed person on Twitter. He's been criticized in the past for who he follows, but that hasn't stopped him from adding more to his stable. Taye Diggs may be the first famous example of an over-follower. After his immense number of follows became an Internet mystery in 2014, he explained he hired a "social network dude" who followed people for him and used Twitter as a news "ticker" rather than just to disseminate information. And that ticker keeps getting more dense. 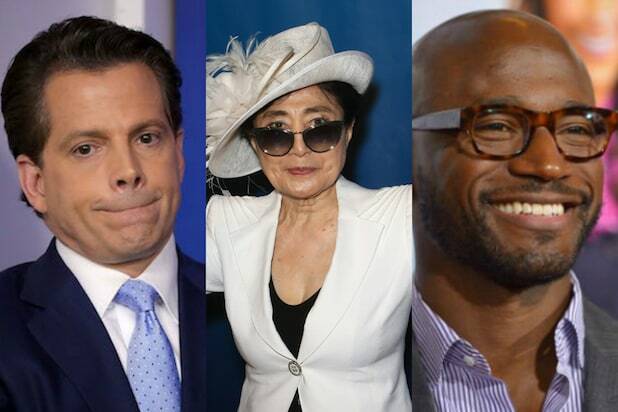 Back in 2011, Yoko Ono held the record for following the most people on Twitter, even surpassing President Obama. The king of bat flips is also one of the kings of Twitter. The Toronto Blue Jays player tweeted that he'll follow anyone who gives him a retweet or talks about baseball and raises awareness of the game. More so than the rapper himself, it's Lil B's alter ego The BasedGod that has cultivated a network of memes and emojis that have made him Internet royalty, and the rapper has returned the favor to all his followers and then some.